The biggest struggle! — Havers Dog Behaviour. People working with animals is one thing, you can leave work and have a break but living with a dog is different because there is no escape, no respite and some dogs can be difficult to live with and this can give us huge cause for concern and it can be a big source of stress. The key is communication and this needs to be different from how we naturally communicate because we do not share the same comprehension of language and words as our dogs do so we have to think differently. If we are teaching tricks and other unnatural behaviours, we can condition the required response with the offer of food as a reward and so help understanding but do we need food for behaviour? Our dogs learn from us and how we behave, in particular how we respond and react to our dogs behaviour and from these interactions our dogs learn our response patterns and our behavioural routines which in turn allows them to understand when attention is available and they can exploit the loop holes we create. We would like to think our puppy has come to us as a blank canvas but they are to as they already have experience of interacting with humans so even at eight weeks old you puppy is learning your patterns of behaviour. A rescue dog or a rehomed dog already has experiences of people, not always positive ones and this can give us hurdles to overcome as some of their learned behaviours can be unwanted. Having dogs can be a challenge, they can test us and they can frustrate us so what is the biggest struggle? We need to give ourselves permission to accept we might not know enough to be able to help our dog, we need to realise asking for help is perfectly ok but most of all we need to be patient. Not with the dog, with yourself! This can be a very difficult thing to achieve because we all lead very busy lives that don't allow much space for patience. The time we need it most is when we come home from work and we are met with the evidence that the day has not gone well for the dog. It is very easy to vent the days frustrations on the dog and blame the dog for whatever you have come home to but this will not help anyone. This is the time to be patient with yourself. You might have endured a tough day at work or had some personal stuff to deal with and the last thing you need is the sight you have come home to. 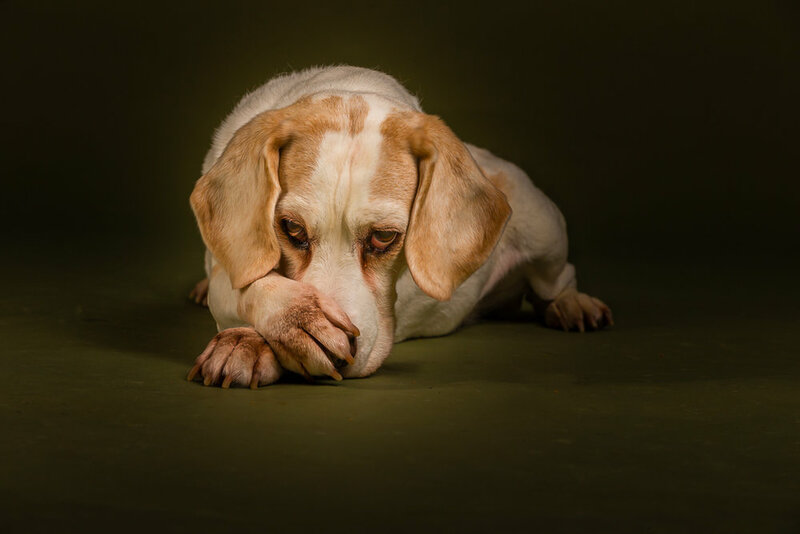 Perhaps your dog has had a similar day to you and has built up frustration and tension that has to be released and has done so in the only way he can? He is delighted you are home because he has had a bad day just like you and you have just made his day so much better but he has made yours worse and you are tempted to explode and vent but you really need to walk away, take a breath and say hi to your dog. He won't associate you saying hi with the mess he has made, that was done ages ago, he is jut so happy you are home. We have to be patient and give ourselves time to look at the situation from another perspective, that of your beautiful dog who is trying so hard to be the best he can be. Is it all his fault when things go wrong? Could the understanding and communication be better and easier so he is able to be more relaxed so he can cope better when he next has a tough day? It is always our ow behaviour that needs to be helped, it is our understanding that needs to be deeper and it is our communication that needs to be clearer because we don't share the same language as our dog, we don't always understand each other but we do love each other and that deserves patience and time. We need patience and time to get to know our puppy and to get to know our rescue or rehomed dog. We need patience and time to make mistakes and learn from them, we need to extend this also to our dogs after all they are trying so hard yet are not allowed to make a mistake? If you would like help with your dog, please give me a call on 01530 242209, I will have worked with the issues you are experiencing before and I will be able to give you a solution. I can come and see you for a home visit or you can join me for a group dog behaviour walk, it will probably be a combination of the two that gets you the results you want.